Home » On Burlington’s proposal for bike lanes on Lakeshore Road – You did it! On Burlington’s proposal for bike lanes on Lakeshore Road – You did it! Your valuable insights, lived experience, and reasonable alternatives to on-road bike lanes helped sway the vote to keep the road as is. City council voted 4-3 to retain the centre turn lane on Lakeshore Road, rather than reduce it to a painted median to install on-road bike lanes. In support were myself, Councillors Sharman & Taylor, and Mayor Goldring. Your voice made the difference. Hundreds of residents like you (many of you cyclists!) shared your concerns with me and other members of council that the proposal would compromise both functionality and safety of the road for all users. Your valuable insights, lived experience, and reasonable alternatives to on-road bike lanes helped sway the vote to keep the road as is. The road is functioning safely now: data I received from our Transportation Department indicates no cycle/car collisions in 2012, or 2011. Compared to cycle/vehicle collisions on other arterial roads, Lakeshore is at the bottom of the list. The road is not on the city’s Top 10 worst roads for car accidents. The road is functioning as it should. Our users are sharing Lakeshore Road. And for cyclists who wouldn’t ride on Lakeshore even with a bike lane, there is the multi-use path on the south side of Lakeshore, or the fully separated Centennial Path a block away. In fact, as many or more of our cyclists use the Centennial Path: 115 cyclists per day use Lakeshore, but 103 were measured in just a four hour period riding on the path. Though this particular proposal was not supported, this is not a vote against cycling. 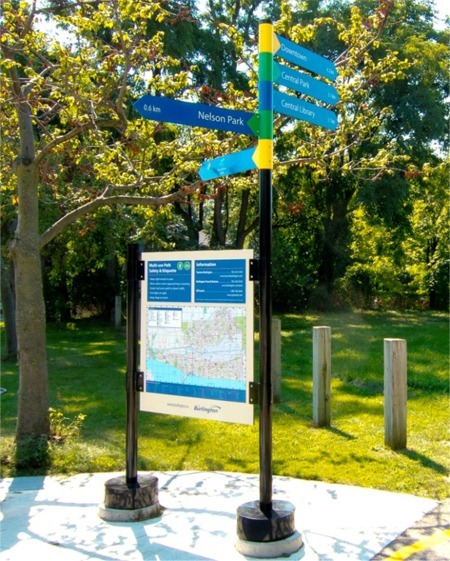 In fact, the city is poised to invest $1.25 million in 2013 alone in new and improved multi-use paths throughout the city, including $300,000 to improve the multi-use path on the south side of Lakeshore Road. In addition, the city dedicates $25,000 annually for improvements to hydro paths, and $30,000 annually for improved cycling signage. These improvements have all been identified by our Cycling Committee and recommended in the city’s Cycling Master Plan. Thank you for speaking up. It made all the difference. Great work, Marianne! Despite my general antipathy to cycling road warriors, I’m pleased that this decision was a balanced one. It maintains Lakeshore Road as a safe major artery while providing support to cycling–particularly local, family, and recreational cycling. Thanks for your reasoned arguments on this. The proposal made little sense. At the council mtg (I was there), I was dumbstruck by attempts to justify the plan by relating sightings of lone cyclists on roadways and counts of as many as 7 an hour on Appleby!!! Kooky. As you suggested, why were people trying to fix something that is not broken?